The number of Chinese households reached 420 million in 2010, as a result of population growth and fewer people living in extended families. At the same time, infrastructure needs and industrial output have increased dramatically, aligned with an urban demographic shift, higher incomes and greater investment in fixed assets. By 2020 China’s construction industry is expected to generate 19% of global output. However, due to the Chinese government’s protection of its State Owned Enterprises and domestic companies, and an ability to undercut prices, offshore-owned companies must be savvy about finding a foothold. Foreign firms must be financed by international organisations such as the World Bank, the Asian Development Bank and by foreign governments, or wholly financed by foreign companies. Projects that are subsidised by the Chinese government or domestic banks require foreign firms to create joint ventures or incorporate with domestic businesses. Experienced Cost Manager Stan West visited China recently as part of a group from the New Zealand Property Council and Property Institute of New Zealand, and returned with some surprising impressions. He noted somewhat of a ‘holding pattern’ in mainland China, but not Hong Kong – where both material costs and values are extremely high. He found the quality of larger, landmark ‘A’ grade buildings to be very good; often designed by overseas architects and using high quality materials and finishes. However, much of the smaller mainland stock is below standard. 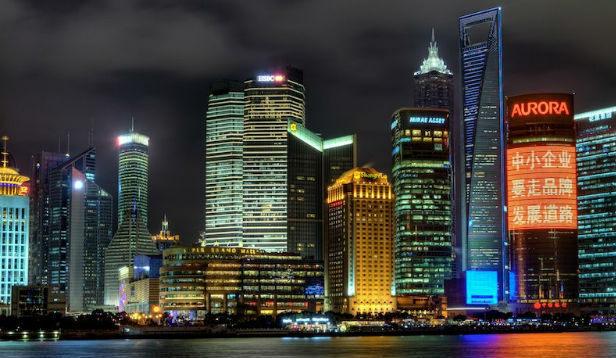 The lack of a regulatory environment has caused many catastrophic failures, highlighted by the 2008 earthquake which centred on the Sichuan Province. Corresponding with this situation is a potential opportunity for the New Zealand construction industry to share learnings from our own recent earthquakes. Each year, China invests more than $100 Billion into Research and Development, a large portion of which now goes into seeking new, sustainable building techniques and construction methods – something the country has been criticised for avoiding in the past. How does this the affect New Zealand construction market? We have, and will again see price increases of imports of commodities such as steel. This is partially due to the large demand that China continues to place on the world’s raw materials to produce their buildings (although we are also affected by the Japanese and Christchurch rebuilds). To mitigate rising costs and the fluctuation of world markets, we can look to indigenous, recycled and renewable materials for construction. Locally grown, job-creating timber may be an obvious choice, but the challenge will lie in the timings. The timber industry will need to manage staff levels until we see a real upswing in demand that comes from not only China, but Japan and our own Christchurch rebuild.